Poinsettias are somewhat finicky in regard to soil moisture. 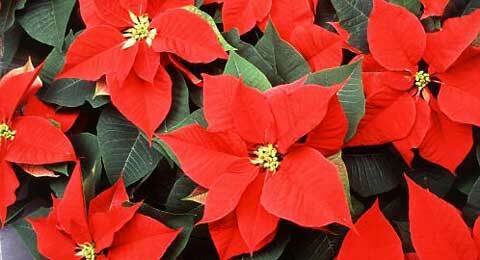 Avoid overwatering because poinsettias do not like “wet feet.” On the other hand, if the plant is allowed to wilt, it will drop leaves. So how do you maintain proper moisture? Examine the potting soil daily by sticking your finger about one inch deep into the soil. If it is dry to this depth, the plant needs water. When it becomes dry to the touch, water the plant with lukewarm water until some water runs out of the drainage hole, then discard the drainage water.